From the Maldives to Tahiti and even Cambodia, it’s hard to resist the allure of luxurious overwater bungalows. With sensational panoramic views of crystal-clear turquoise waters as far as the eye can see, listening to the soothing sounds of the lagoon below, these luxury resorts truly are the epitome of paradise. Today overwater bungalows come in all shapes and sizes from traditional thatched roofs to ultra-modern floor-to-ceiling glass with private pools. No matter what your idea of the perfect overwater villa, if you’ve ever dreamed of staying in your very own private ocean villa on a remote island, you’re likely to find your perfect match on this list. Widely considered to be one of the world’s best resorts, Gili Lankanfushi is the epitome of luxury and relaxation, yet boasting an unpretentious vibe. You can be sure that any stress will melt away the moment you arrive as Mr Friday, your personal butler, will take care of your every need for the duration of your stay. Gili Lankanfushi is located off the coast of a small remote island in the middle of the Maldives’ largest lagoon. Many of the overwater villas are positioned on the west coast of the island to ensure guests take advantage of the sensational sunset views. 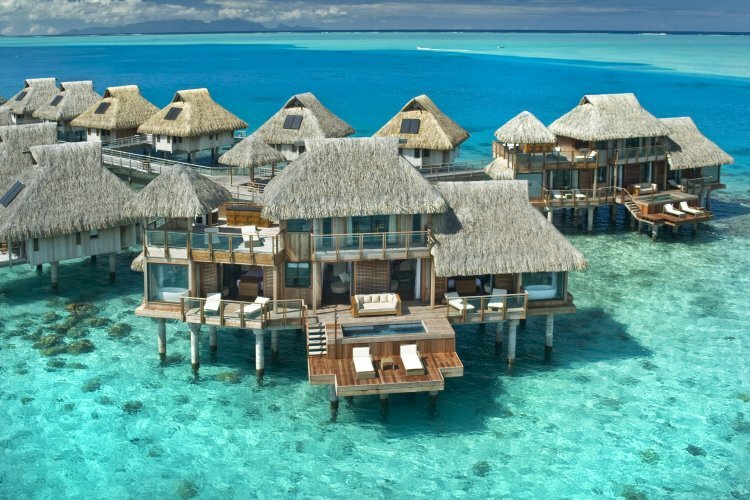 The 45 overwater villas are astounding, elegant and spacious placed high on wooden stilts. You will find a variety of villa styles, from catering to families to honeymooners. Each overwater villa comes with a private sundeck equipped with comfortable loungers, a hidden roof-top deck, strings hammocks over the warm crystal-clear ocean and a quirky clear glass panel inside the villa allowing you to watch the fish swim below. The concept of overwater bungalows was born in Tahiti, therefore the Tahiti islands boast some of the best overwater resorts and panoramic views in the world. Located within the beautifully preserved coral reef of Motu Tautau, with remarkable sweeping views of Tahiti’s most famous island, Bora Island. Le Taha’a Private Island & Spa is an award-winning resort, prestigiously listed amongst “The World’s Best Places to Stay”. Inspired by authentic Polynesian architecture and style, Le Taha’a is built seamlessly into its natural surroundings to ensure the beauty of the island is not disturbed. The luxury tropical escape offers guests spacious overwater bungalows, each being more than 100 square metres in size. Many experts consider Le Taha’a facilities to surpass all other hotel accommodation located in the Pacific; an honourable recognition as the spectacular islands of Hawaii, Bora Bora and Fiji are nearby. Song Saa Private Island is located in the beautiful Koh Rong Archipelago, Cambodia. This small paradise island is home to Cambodia’s only overwater villas and is widely recognised as one of the most beautiful overwater resorts in the world. Created with a strong sense of sustainability in mind, Song Saa reflects the beauty of the traditional Cambodian coastline, handcrafted entirely by local Cambodian workers using naturally resourced materials from the mainland. 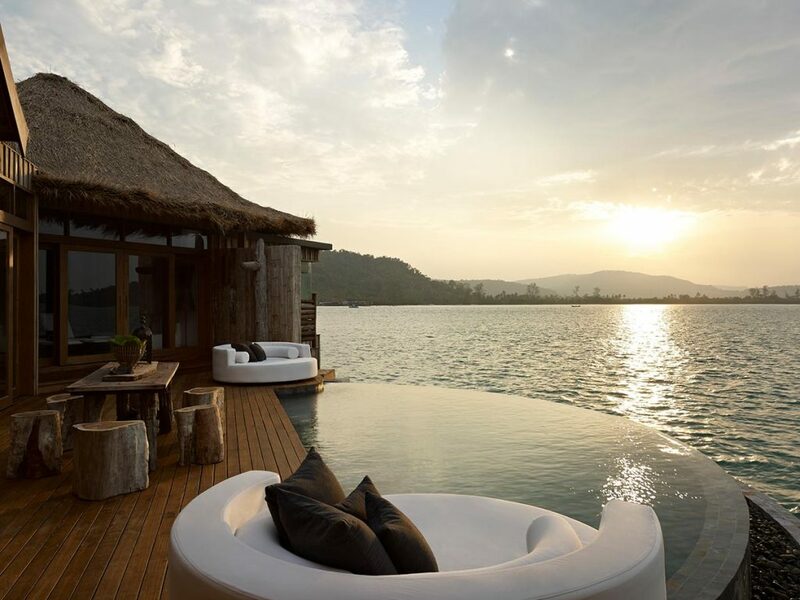 Song Saa offers ultimate luxury, serenity and a deep connection with the natural environment. Each villa is a private sanctuary perched on stilts above the warm, crystal-clear waters of the Gulf of Thailand, overlooking the beautifully preserved coral reef. All equipped with a private pool and decking area, oversized baths with panoramic views, thatched roofs, linen-draped canopy beds and repurposed furniture. A perfect blend of luxury, beautiful landscapes and Asian culture. If you’re looking for the quintessential tropical island paradise, it doesn’t get much better than the Bora Bora Nui Resort & Spa. Combining Polynesian tradition with sumptuous luxury, the resort is built around the world-famous private cove, Motu To’opua. With blissful soft white sand beaches, stunning lava rock coral and a spectacular backdrop of Mount Otemanu, this resort truly offers a once in a lifetime escape from reality. Feel at one with nature as you take in the serenity of the remarkable views while relaxing in your private villa constructed with locally woven palm woods and tapa cloths. And if you aren’t relaxed enough, treat yourself to the ultimate relaxation package in the full-service spa on the hilltop whilst enjoying breath-taking panoramic lagoon views. 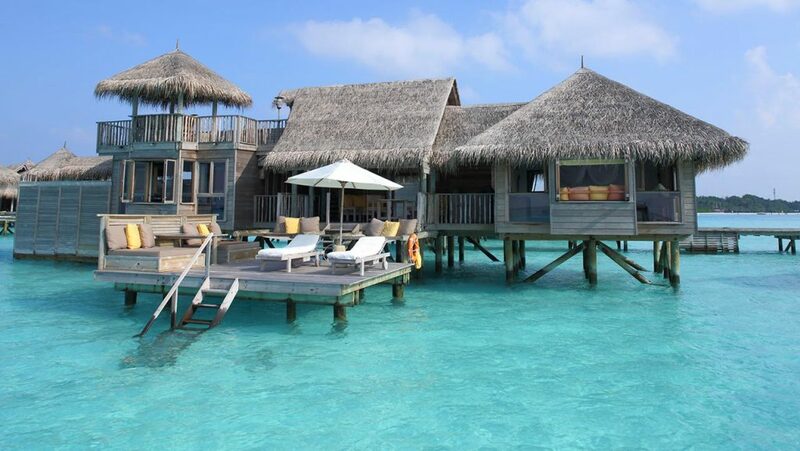 Have we inspired you to indulge in a stay at a luxurious overwater bungalow? Then place an enquiry on our website and let us find you the ideal retreat!